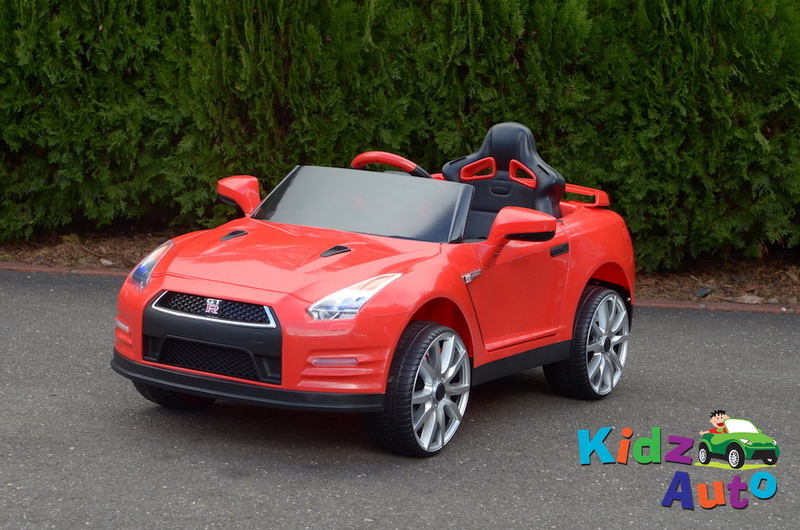 Kidz Auto is very proud to announce the arrival of the official licensed Nissan GTR-R35 ride-on. 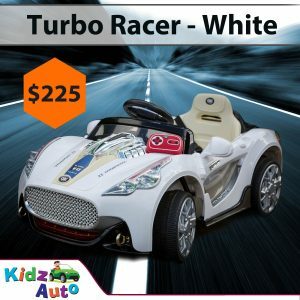 This very classy car has a 12v battery, a low speed of 3kph and a top speed of 5kph, plus twin 35w driving motors for more power and longer drive time. 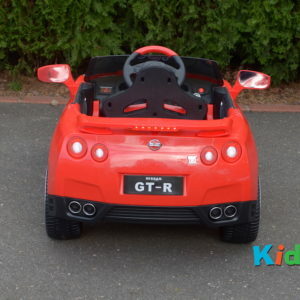 Equipped with doors that open, a dashboard with illuminated dials and a clock, it has working head and tail lights, and a battery capacity indicator. 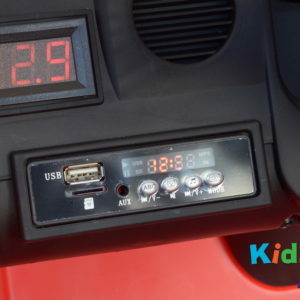 There is also an FM radio with USB plug-in and MP3 jack so your little one can listen to their favourite music. 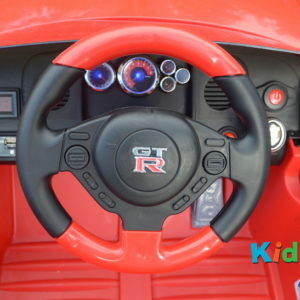 The interior features a black padded seat with red trim and seat belt, and a black steering wheel also with red trim. 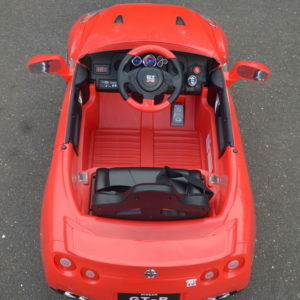 The exterior features a hot shade of red paintwork with black trim, stylish inset headlights and darkened windscreen, as well as smart wing mirrors, alloy wheels and dummy double chrome exhaust pipes. 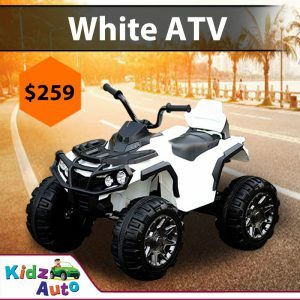 This awesome electric toy car has a push-button switch with realistic engine sounds, forward and reverse gears for excellent manoeuvring, and is suitable for youngsters aged 3—8, up to a weight of 30kg. It comes with an Australian standard battery charger, parental remote control and owner’s manual. 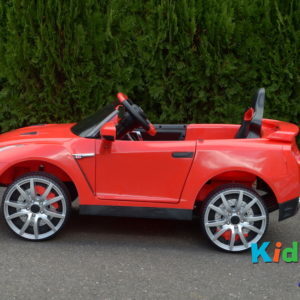 As the car is licensed, it is built to the parent company’s specification and guaranteed to be top quality. 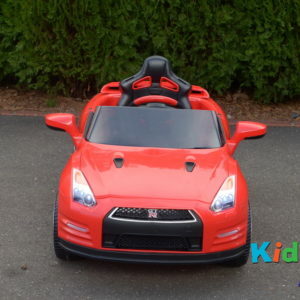 An electric ride-on is one of the best toys your child could have, because it promotes physical and mental development. Playtime is more than having fun, it’s about learning problem-solving and social skills that will benefit your child later in life. 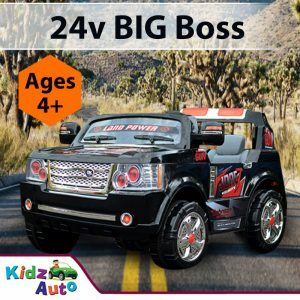 Ride-ons are great for encouraging independence through decision-making – whether your youngster turns left or right or drives up or down a hill is up to them – and they see the consequences of the choices they make. Playing outdoors, hearing birds sing, and seeing bugs and small animals creates awareness of the natural world and inspires good habits for a healthy lifestyle. Excellent motor skills are very important if your youngster wants to be good at sports or work with their hands as a mechanic or engineer. 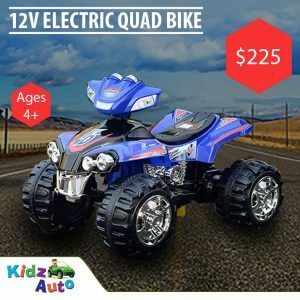 An electric ride-on is ideal for developing these skills at a young age and learning how to interact with machines and tools. Two-seater ride-ons teach kids to share and cooperate. 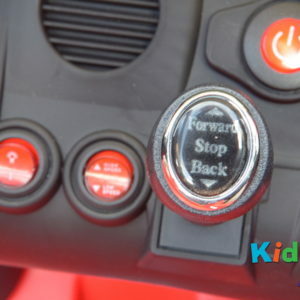 Only one person can control the car at any one time, and kids will need to share the driving and trust the one in the driver’s seat. 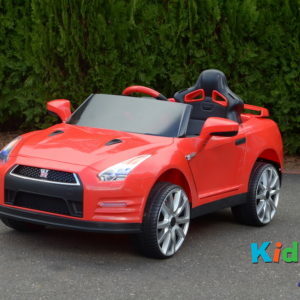 So if your kid is a budding Lewis Hamilton, buy him a Nissan GTR from Kidz Auto and help him on his way!